Published July 24, 2015 at 2731 × 3461 in _P5C6402-Edit. “Emerge” 1) to become known, 2) to rise as if from an enveloping fluid. 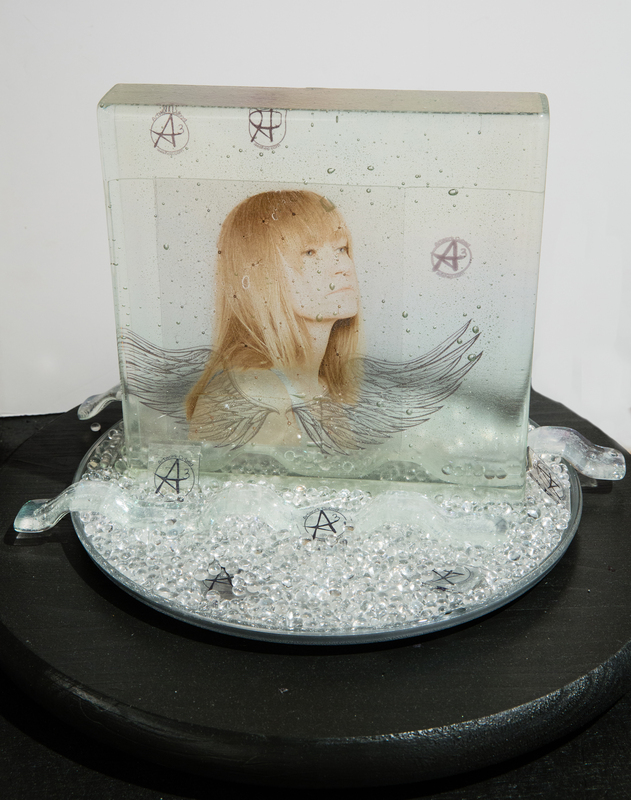 Kiln formed glass block with embedded digital images, glass beads and strips.